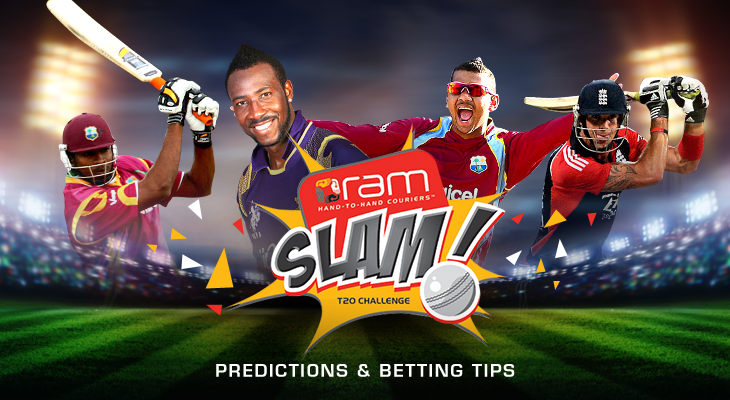 Ram Slam T20 Challenge 2015 match predictions, betting tips and preview. The no.1 team on the table of the Ram Slam T20 Challenge, Titans, automatically moved to the final while Dolphins forced their way and play final of the event. The no.2 and 3 teams in the Ram Slam T20 Challenge 2015, Dolphins along with Cape Cobras have qualified for the semi-final and one of them will reach the final. The team placed fifth on the table of the Ram Slam Challenge, Lions, will face the fourth rated unit, Warriors and both will try to win the deciding game. The supreme team of the Ram Slam Challenge, Titans, will face the most depleted side of the event, Knights, in the final pool match and will anticipate a win. The ruling team in the Ram Slam T20 Challenge, Titans, will face the no.4 side, Lions, for the 2nd time in the event with an anticipation of a positive result. Two teams among top three in the Ram Slam T20 Challenge, Dolphins and Cape Cobras will face each other next to strengthen their position on the present chart. The bottom line side in the ongoing Ram Slam T20 Challenge, Knights, will do their best to improve their position when they meet the no.4 team, Warriors, next. The no.5 team of the Ram Slam T20 Challenge, Warriors, will meet the no.2 side, Cape Cobras for the second time and will anticipate taking revenge from them. The team struggling at no.4 on the table of Ram Slam T20 Challenge, Lions, will try to enhance their position once they meet one up unit, Cape Cobras, next. The no.5 team ranked currently with 10 points in the Ram Slam T20 Challenge, Warriors will face the champion unit, Titans, having 24 points in the next match.